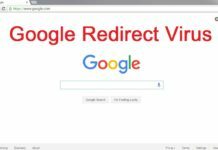 It been years, we have dealt with many virus problem which appeared on our test machines and others sent by our readers of this blog like you. In case of virus infection most of the users start to panic but really its not like sky is falling when you recognize your PC is infected by some malware or Trojan, by taking the right steps and with some third party tools like Ultra Virus Killer [ Free Tool ] you can always get back all your data and your computer back in working state. 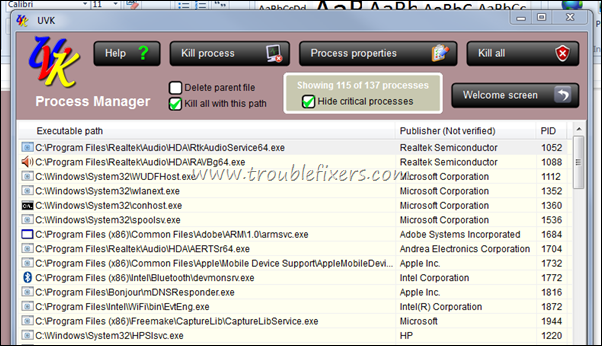 We have reviewed many tools since the starting of this website which helps you repair your PC after virus infection, Ultra Virus Killer is one such tool which helps you not only repair your computer infected with a virus but it is also a good power control manager which provides complete control in your hands with its simple but power interface which lets you sneak in various important sections of your computer. 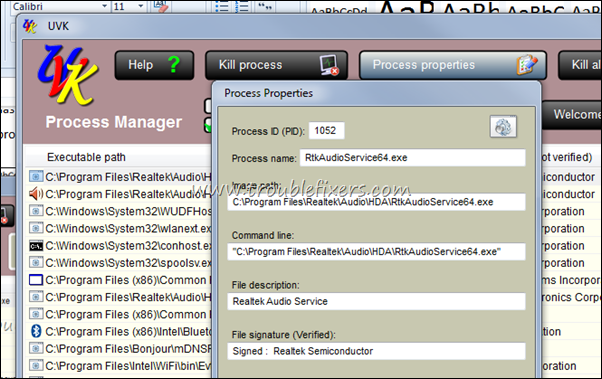 Ultra Virus Killer is one such tool which was primarily designed to deal with all kinds of virus infection on any windows based computer but later on more features got added into it to make it system booster so that it can handle various daily tasks on windows system to make it more useful to use on daily basis to speed up any windows computer. When I started installing Ultra Virus Killer, it first prompted a terms of agreement which clearly specified that the program publisher will not be responsible if some thing goes wrong with windows after using this tool, I would say there is nothing wrong this tool can do as it is designed to repair windows by default. All the options in this tools are shown in one windows and navigating among these options were also quite easy, as every time you want to come out to main screen you will need to press the Welcome Screen button which never goes away. 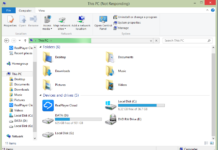 As you can see on the tool home screen – it has multiple modules which deals with different settings and configuration in windows like. 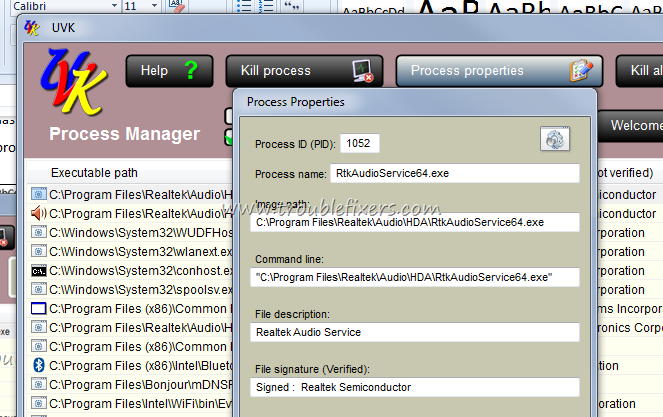 Process Manager – Which shows you all the process running in windows and also tells you the publisher name so that you can easily identify the executable in case it belong to some virus or suspicious program on your PC. 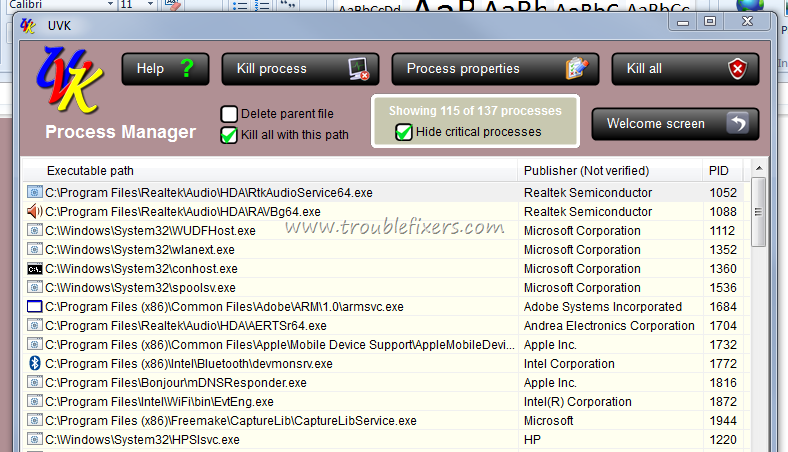 It does allows you to kill the unknown or harmful process running on your computer, you can also explore the Process Properties in case you want to know details about a process like which publisher and which directory and more info as you can see in the image below. 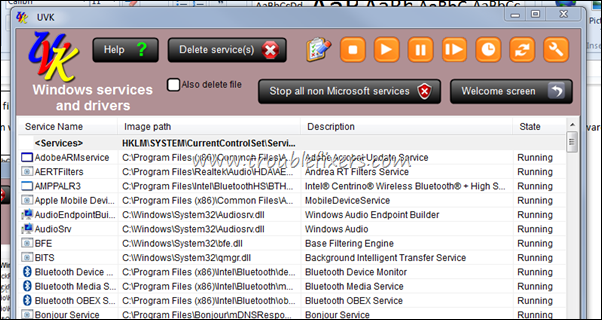 Memory Modules – This section tells you how much memory is being used by which program and process running on your computer. You can delete a memory module in case you find a suspicious process behind it. 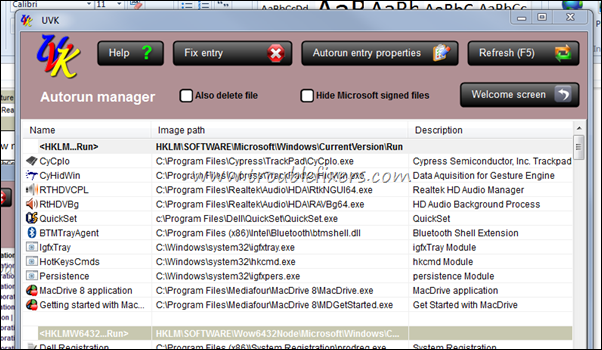 Autorun Manager – It is another useful section which tells you what all is running before windows get booted up and running, so that you can check if there is a virus or malware in autorun in windows running, you can check the autorun properties as well. 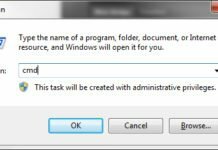 Windows Services and Drivers – Some viruses and malware may create and install them as services so that they keep running in hidden modes as services and make the damage to your computer, you can find them in this section of the tool. 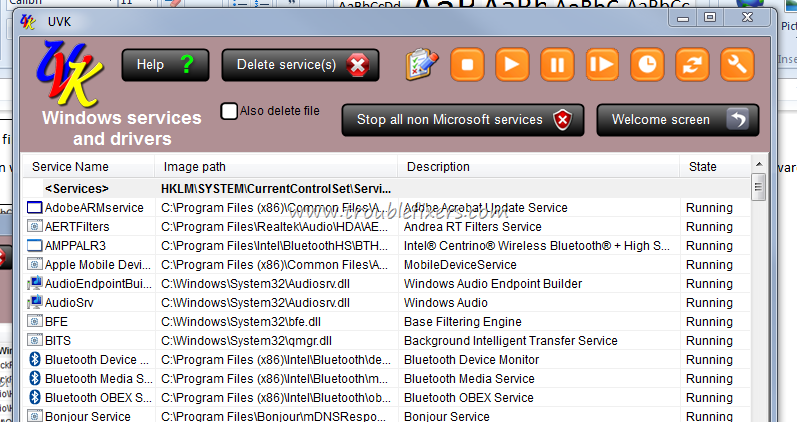 You can also stop or start a services or remove it under this section as shown in the image below. 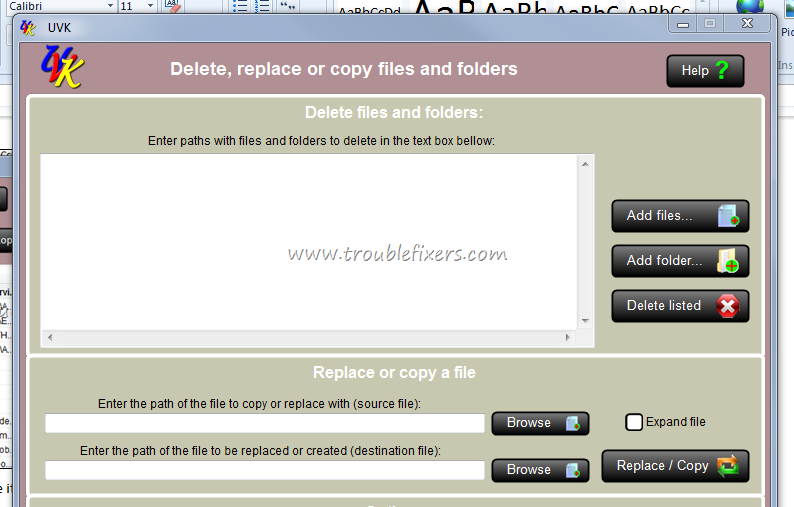 Delete or Replace a File – Some times you may find a file on your PC that is infected with a virus but you are not able to delete it from windows, you can delete and get rid of the file using this tool. 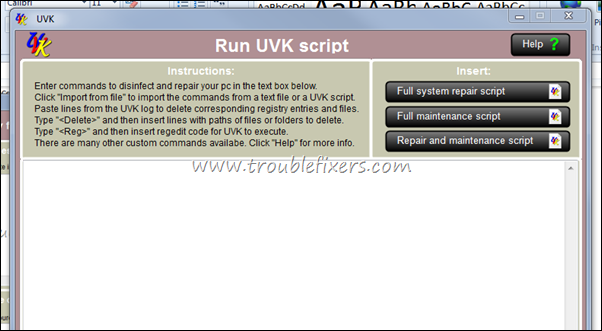 Run UVK Scripts – There are times when you can a little on your windows are most of the options to fix the system are either limited or disabled. In such case you can run UVK Script which are written in such a way that you can fix your pc by clicking a button in this tool. You can either decide to run a full system script, full maintenance script to fix your computer. 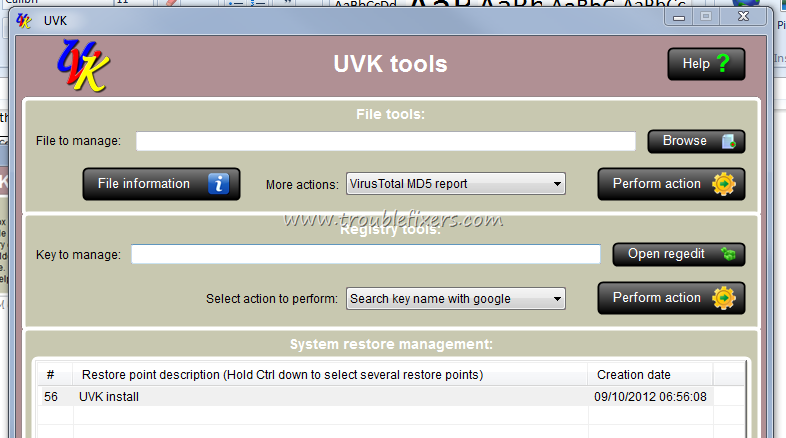 UVK Tools – You can use this tool to check a file for virus infection using the popular services like Virus Total and other online tools without you requiring to visit the website of these tools, and its really helpful with this tool as some times the internet browser may not be working perfectly on your PC. 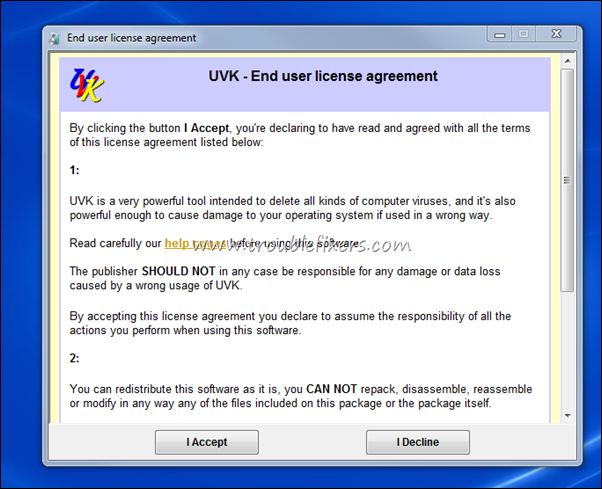 UVK System Repair – This sections deals with all the fixes that can be done by the tool to make sure that internet related settings, DNS Settings, Registry Settings – Winsock and group policies etc could be on the right path. 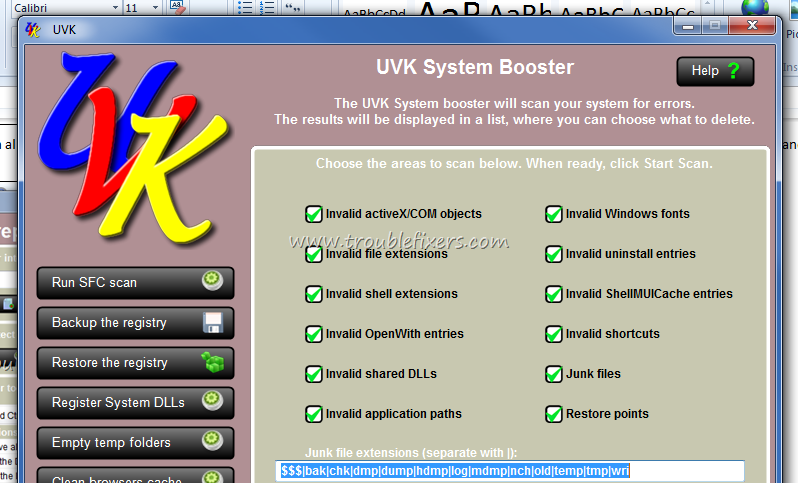 Apart form all the above section two other interesting sessions of this tool are UVK System Booster and UVK Immunisation – former allows you to run windows fast and effectively and later allows you to immune your windows to protect it from future virus and malware infections. After going through all the options, feature and functions provided by this tool, this seems to be one of the best free tools you should install it on your computer to fight with virus infection and also for regular windows speed up and management of services and processes.